Kodak and Samsung have announced a partnership which will see the pair work together on printers for the European market. Consumer all-in-one inkjet printers from Samsung will use Kodak's printer and proprietary ink technology. 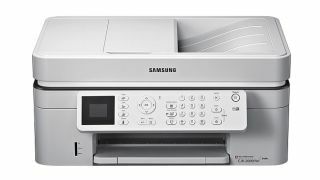 Previously, Samsung had not been present in the inkjet printing market, only offering laser printers up to now. The company said that it would benefit from Kodak's experience of inkjet technology. Earlier this year, Kodak, the iconic photography brand, announced it was stop making cameras to concentrate on its printing business. Kodak has sued Samsung in the past for patent infringement relating to its imaging portfolio, but Kodak called the new partnership a "win-win" situation which allowed Samsung to take advantage of Kodak technology with the already successful Samsung brand. The company will continue to invest and market its own range of All-in-One Printers, along with Kodak ink cartridges and inkjet paper. It is thought that the new printers have already gone on sale in Germany.